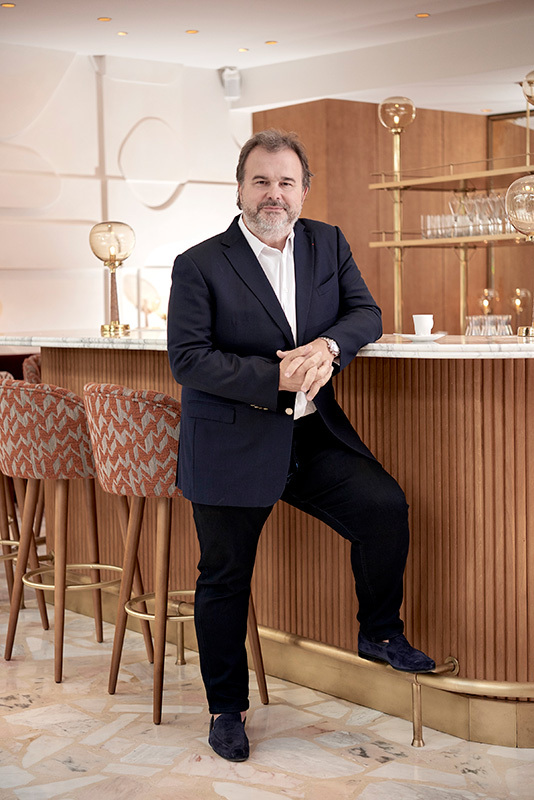 In a unique place due to its artistic tendencies called Beaupassage, Pierre Hermé opens his most recent project, a Café Parisien in which he works on the flavors of his sweet and savory delights at all hours of the day. 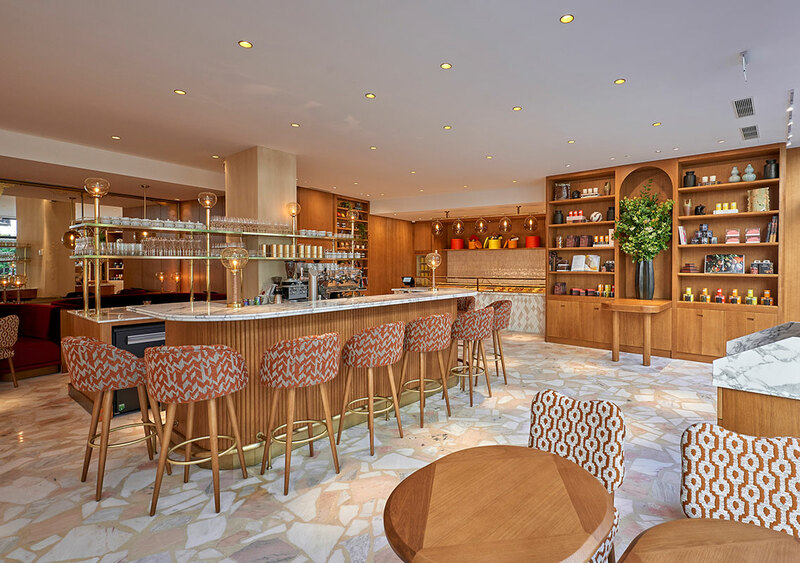 Granulated marble walls, honey-colored wood shelves, blown glass lamps in an amber hue, a plaster fresco that fits in with the artistic space on which it is located are all details of the interior design of the new premises, created with affection and with the sensitivity of the specialist Laura González. 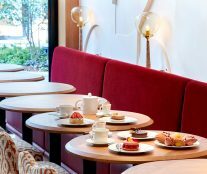 The aim is to offer an uninterrupted service in which to enjoy some of the French chef’s most emblematic cakes, adapted to each moment of the day. 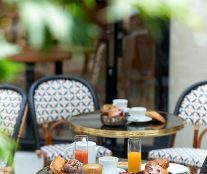 Croissants and pain au chocolat or pistachio in the morning, savory breakfasts with tortillas and vegan dishes. 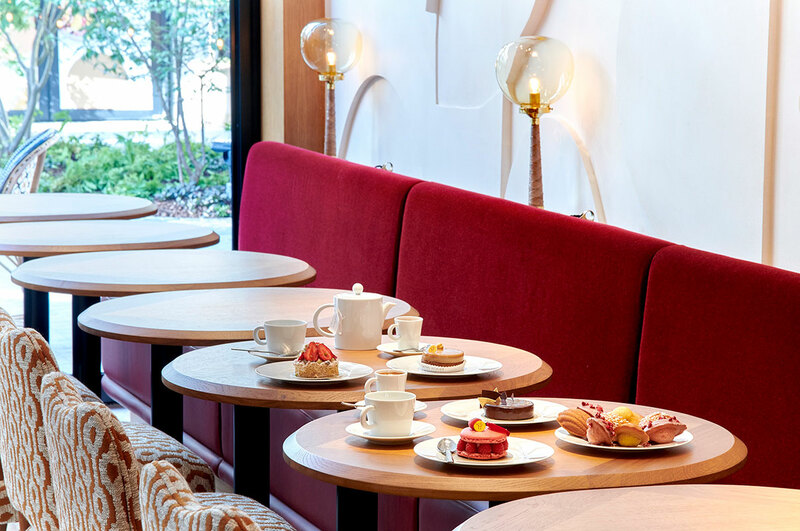 Snack type lunches with the possibility of being culminated by the legendary Ispahan, Infinitment Vanille, or his wide assortment of macarons. 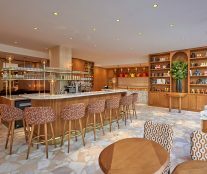 And for the evening from cocktail service to coffees and teas, carefully thought up by Hippolyte Courty, founder of l’Arbre à Café. 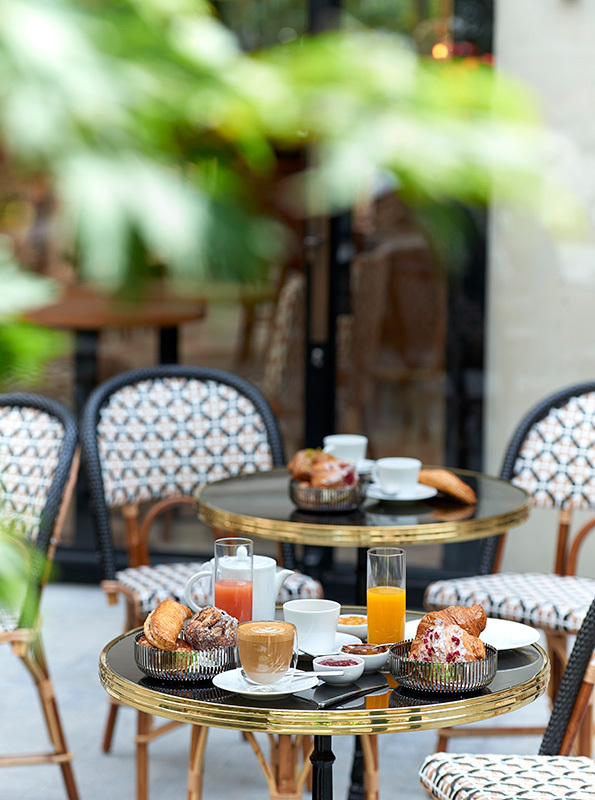 At the weekend, a special brunch service will be start at noon, with a generous offer that will once again have the distinctive touch of the incomparable Pierre Hermé on the desserts. 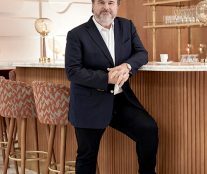 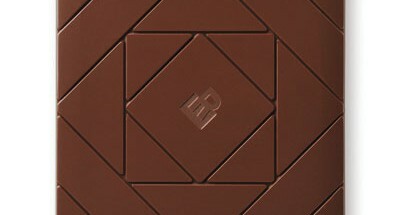 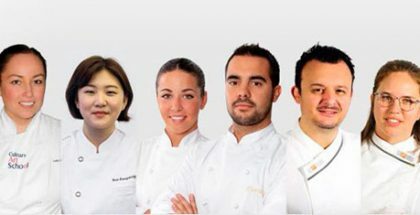 Pierre Hermé helps to create a powerful offer in this unique Beaupassage, which is also joined by chefs such as Yannick Alléno, Thierry Marx, and Anne-Sophie Pic, among others.